We spend a lot of time talking about hydronic systems on this blog. 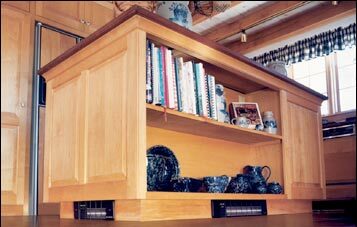 Whether we’re covering our catalog’s bountiful boiler listings or discussing the best ways to enhance a hydronic system, there is a lot of advice on the Able blog. However, there is one area of hydronic heat that we haven’t given the attention it deserves and that’s radiators. We’ve worked hard to ensure that our contractors can find a radiator for any application at Able and today we’re going to be highlighting our versatile lineup. 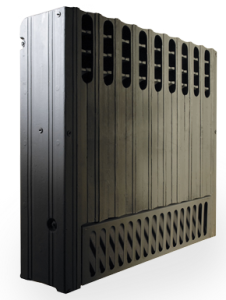 Slant/Fin’s Base/Line 2000 baseboard is perfect for smaller residential applications such as tract housing or multi-family units as well as renovating older construction. The clean, low-profile design fits in any décor and the low noise levels are appreciated in any application. Base/Line 2000 baseboards are available in eight different lengths with either a ½” or ¾” heating element. They even feature integrated dampers allow for even temperatures on a zone-by-zone basis. 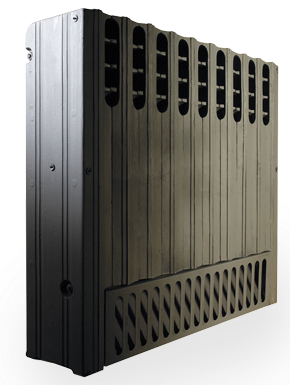 Runtal is a global leader in radiant heat and it only takes one look at their UF Series baseboards to see why. These models are available in over 50 different sizes, making it easy to find the perfect fit for your application. They support eight different piping configurations and straightforward wall mounting to ensure that installation is a breeze. 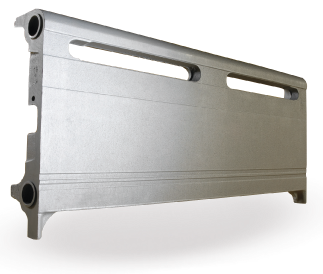 The UF Series can be used in systems with a water temperature as low as 140F and these models make a great replacement for both fin-tube and cast iron baseboards. Finally, all Runtal UF baseboards are back by a robust 5-year warranty for your client’s peace of mind. 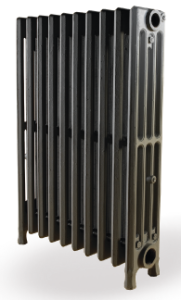 We’re cheating a bit with this entry; Beacon-Morris’s Twin-Flo III is a kickspace heater and not a radiator, but it’s nevertheless a great choice for homes in need of low-profile hydronic heating. Rather than utilizing a large surface area to provide radiant heat, the Twin-Flo III transfers the heat from the boiler’s water supply to a blower which distributes warm air through the zone. The result is low-profile hydronic heating from a device that is significantly smaller than radiators and baseboards. This is perfect for tricky applications where space is at a premium. Twin-Flo III Kickspace heaters can even be deployed in recessed or surface applications with the proper installation kit! Burnham’s Classic line of radiators is designed for use as a replacement model for renovation projects. They feature durable cast iron construction and intricate styling suitable for vintage residences. These timeless models enjoy excellent heat retention and transfer properties and operate quietly. 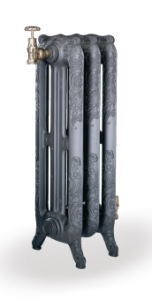 Burnham’s Radiant lineup of cast iron radiators is designed and built for recessed-wall applications. What sets the Radiant line apart from other radiators is the unitized construction. This allows the free flow of air through the radiator, providing your client’s space with both radiant and convective heat. The Slenderized line is Burnham’s most versatile radiator line. These low-profile cast iron models are available in 23 different sectional sizes and three different heights for nearly 70 different possibilities. As with all Burnham radiators, the cast iron design ensures longevity, efficiency, and quiet operation. At Able Distributors, you can find a wide variety of radiators suited for nearly any application. With multiple types of baseboard, free-standing, and alternative radiators available, you’ll be hard-pressed to find a better source of hot water radiation. And of course, if you have any questions, you can always ask the friendly Able sales staff at your local branch. I’m Arnold and I’m looking for a 2 section/Fin Hot water cast iron radiator. (height doesn’t matter).